They say insanity is doing the same thing over and over expecting different results. We’ve seen many employers repeatedly make the same mistakes in their annual ACA filing submissions with the IRS. This is resulting in these employers receiving consecutive IRS Letter 226J penalty assessments for the 2015 and 2016 tax years. If these employers don’t make any changes to their ACA compliance process, these employers can expect the receipt of an ACA penalty notice from the IRS to become an annual rite. The IRS, in November 2017, began issuing penalties to employers identified as having failed to comply with the ACA’s Employer Mandate. Under the ACA ’s Employer Mandate, Applicable Large Employers (ALEs), organizations with 50 or more full-time employees and full-time equivalent employees, are required to offer Minimum Essential Coverage (MEC) to at least 70% of their full-time workforce (and their dependents) in the 2015 tax year whereby such coverage meets Minimum Value (MV) and is affordable for the employee or be subject to IRC Section 4980H penalties.For the 2016 tax year, the ALE s were required to provide such coverage to at least 95% of their full-time workforce (and their dependents). The agency issued penalty assessments of $4.5 billion to ALE s it identified as not complying with the ACA in the 2015 tax year. The IRS, in October 2018 , began issuing Letter 226J penalty notices to employers it identified as not complying with the ACA in the 2016 tax year. Some of the penalty assessments in both years have been in the millions of dollars. It came as a surprise to some employers that they received a second Letter 226J for the 2016 tax year. However, it should not have been that surprising. If an employer received a Letter 226J for ACA non-compliance for the 2015 tax year, and did not identify and change what triggered the original penalty notice, there is a good possibility they will receive another notice for 2016 and subsequent tax years. Here are the most common errors employers could be repeating in their IRS filing submissions that could result in receiving repeat ACA penalty notices from the IRS. This error directly relates to the penalty amount proposed in Letter 226J. Penalties are based on the stated full-time employee counts for each month of the tax year provided on IRS Form 1094-C. If these employee counts are stated incorrectly, the proposed penalty amount could be significant. Ensuring that you are using the right IRS approved measurement method in your full-time employee count process should help prevent this error from recurring by accurately identifying the accurate number of ACA full-time employees in your organization. The codes used on the IRS Form 1095-C schedule ultimately determine if and for what months your organization may be subject to IRC 4980H penalties. Line 14 on Form 1095-C identifies what kind of offer of coverage, if any, was made to employees and which employees received the offer of coverage. Line 15 identifies the lowest cost contribution for self-only coverage IF the plan did not meet the Federal Poverty Level safe harbor. Line 16 indicates why a penalty could not be assessed for a particular month because a safe harbor applied. If you identify the wrong code combinations, you could end up with a significant penalty assessment. Repeating these coding mistakes in future filings with the IRS will result in receiving future IRS penalty notices. Sometimes the IRS can make mistakes. 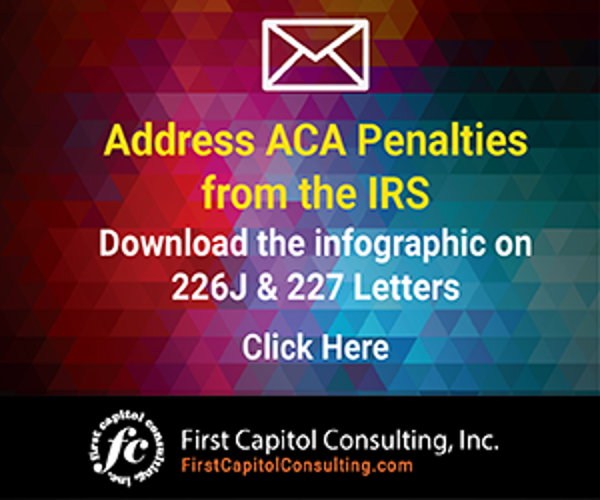 Some of our clients have received Letter 226J penalty assessments from the IRS containing information that differed from their annual ACA filings. When the IRS issues a penalty assessment, the IRS provides the name of the employee that triggered the penalty and the reason they triggered it, such as receiving a Premium Tax Credit (PTC). Sometimes, the agency may present information that differs from what your organization had filed with the IRS. For example, John Doe was hired on June 8, 2016, and received an offer of coverage on August 1, 2016 . However, IRS records show that he never received an offer of health insurance from your organization. Instead, John purchased insurance from his state health exchange and obtained a PTC for 12 months to subsidize the cost of the premium. This triggered a notice to the IRS to issue a Letter 226J penalty notice to your organization. If you have the supporting documentation of John’s date of employment and offer of coverage, providing that information to the IRS should result in eliminating the ACA penalty. Without that supporting documentation, your organization will likely have to pay the penalty. Annual ACA filing receipt IDs, enrollment forms, waiver forms, medical invoices, time and attendance records, and acknowledgment of offers of health insurance made to employees should all be kept in an organized fashion and in a centralized location so that they are easy to access. Having this information on hand should save you millions of dollars. If your organization offered Minimum Essential Coverage (MEC) for all 12 months of the tax year, employers should check the “All 12 Months” box on the 1094-C transmittal form each year. This is critical. Failing to do so immediately indicates to the IRS that you did not offer coverage that met the requirements of the ACA for those months that were not checked “Yes.” Offering ACA health plans that have MEC and MV are critical to avoiding IRS penalty assessments. Employers should check their ACA compliance process to ensure that these errors are not being made to avoid the possibility of significant ACA penalties being assessed by the IRS year after year. If your organization is using ACA compliance software from a payroll company or other vendor, don’t count on the software or the company behind it to help you identify your ACA compliance mistakes. This software is designed to take the data you provide and apply it to the IRS filing requirements for submitting ACA information. Relying entirely upon automated software to generate ACA filings can easily result in overstated full-time counts and inaccurate representations of an organization’s annual snapshot of ACA compliance if your organization has inputted inaccurate or incomplete data to the software program. If you are not confident in your knowledge of ACA requirements and how to assess the effectiveness of your ACA compliance process, you may want to consider undertaking an ACA Penalty Risk Assessment. 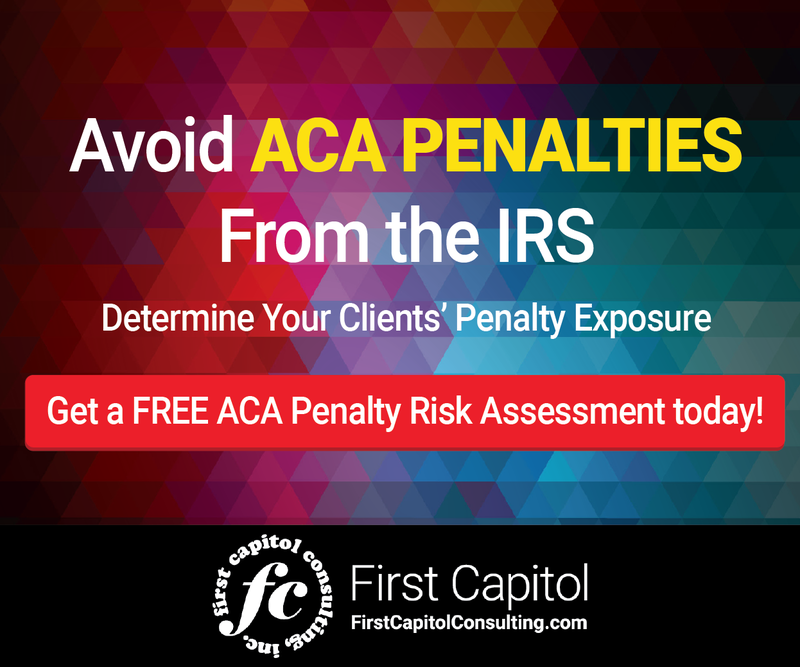 This risk assessment will identify any potential ACA filing errors and will help your organization to improve yourACA compliance process to avoid ACA penalties. Many vendors will offer this service free of charge. 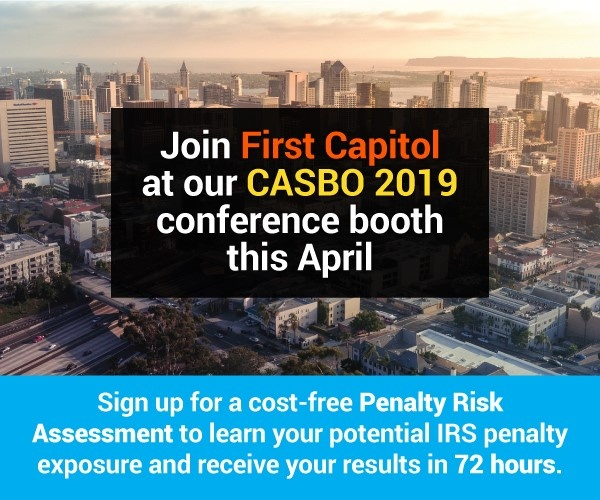 Compared to the cost of continuing to make mistakes year after year and having to annually go through the hassle of responding to IRS Letter 226J penalty assessments, it’s definitely worth investigating.